All photos courtesy Good People Brewing Co.
A seventh birthday usually involves cake, some toys and maybe a magician. When Good People Brewing Co. in Birmingham, Ala., throws its seventh birthday party this July 4, attendees can expect fireworks, a backyard barbecue, a brand new taproom and beer. Lots of delicious, craft beer. Essentially, it will be a day-long party that will sandwich a Birmingham Barons baseball game and Thunder on the Mountain, one of the largest Independence Day celebrations in the state of Alabama. Of course, as part of the pre-game cookout, guests can enjoy burgers, hot dogs and barbecue (not to mention popsicles!). Good People, located at 114 14th St. South, was founded in 2006 by Michael Sellers and Jason Malone. It is the oldest, largest brewery in the state of Alabama and was one of the first craft breweries in the South. 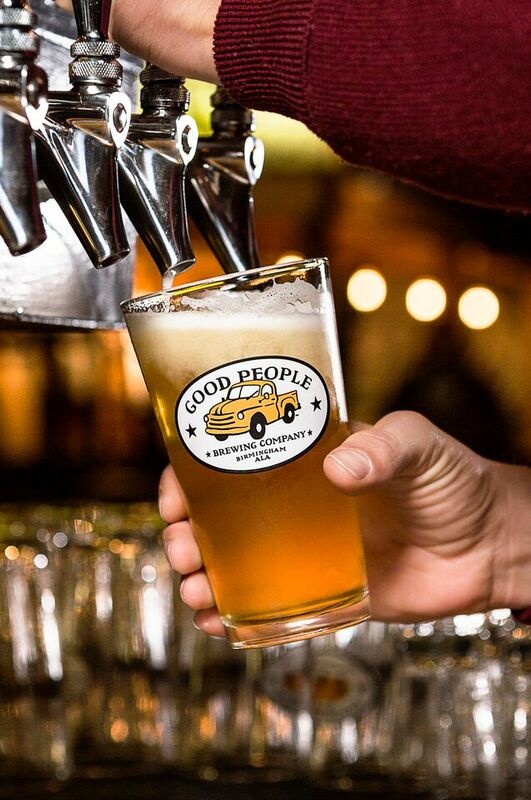 Good People was also among the first in the South to can its beers (a now-popular trend) – if you haven’t tried Good People beer, however, that’s because it currently is available only in Alabama and in Nashville, Tenn. However, it will soon become available in Florida, so the distribution reach is slowly expanding. 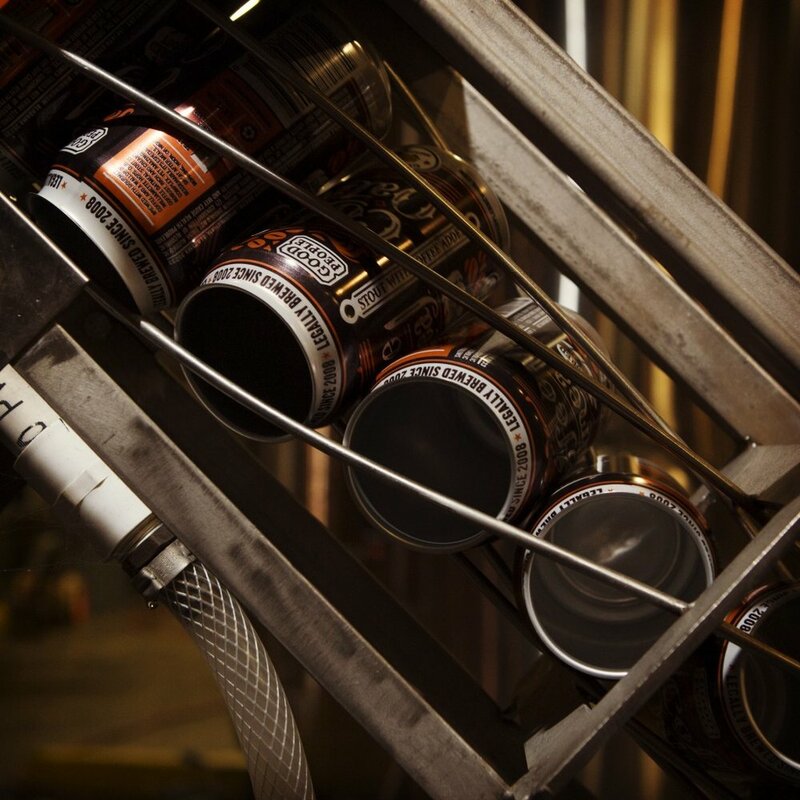 The brewery’s flagship brew is probably its IPA, as it is one of the top-selling craft beers in Alabama. It is among five year-round beers Good People offers, a group known as the “Ales from the Heart of Dixie,” that includes the IPA as well as Brown Ale, Pale Ale, Coffee Oatmeal Stout and Snake Handler. Good People also offers four seasonal beers, including Bearded Lady (summer wheat ale), Mumbai Rye (autumn rye IPA), Fatso (a Russian imperial stout for a winter warmer), and Hitchhiker (a West Coast style IPA for spring), along with a handful of small batch offerings known as the Bearded Reserve. Beer Advocate recently included seven of Good People’s beers in its list of the “Top 50 Southern Beers” and named the Coffee Oatmeal State as one of the “Top 10 Most Popular Oatmeal Stouts,” among with beers from around the world. In other words, if you take a trip down South, it’s worth a stop while motoring past on Interstate 65 for a pint or two to cool your heels. Luckily, my girlfriend takes an annual trip to Birmingham with her family, and she was kind enough this year to bring back three Good People Brewing Co. six-packs: IPA, Brown Ale and Bearded Lady. The proof is in the can. The first beer I cracked open was a Bearded Lady, which possesses a surprising hop quality – my first taste of an American wheat 20 years ago was that of a light, almost bland, grassy-tasting beer that came with a piece of fruit. Times have changed. This beer is crisp and drinkable, but with a tiny bite and dryness, plus some cool citrus tones, thanks to Magnum and Falconer’s Flight hops. Up next, I opened a Brown Ale, which is a beautiful, reddish-brown beer whose rich aroma suggests nutty caramel. The creamy beer follows through as a nicely balanced ale with a surprisingly dry finish. This is where Pale Malts meets a trio of hops for a well-rounded experience. Absolutely solid. I saved the highly-touted IPA for last, and it’s a copper-colored classic. It starts with a floral bounty, followed by an immediate barrage of hop flavor – and this one leans to the hops in a big way, with Columbus, Willamette, Cascade, Simcoe and Citra all taking their place in a beer that is on the drinkable side of 75 IBU while packing 7.1 percent ABV. All the piney sharpness is there in the finish (thanks, Simcoe), with the beer’s pineapple and other citrus flavors being quite sublime even though the Willamette and Cascade hops offer plenty of citrus and flower on the nose. This is a really nicely constructed IPA, and it’s no wonder it’s so damn popular.